Set in the Grade-II listed Peckham Rye ticketing station, Coal Rooms are using wood and fire for their meat dishes. 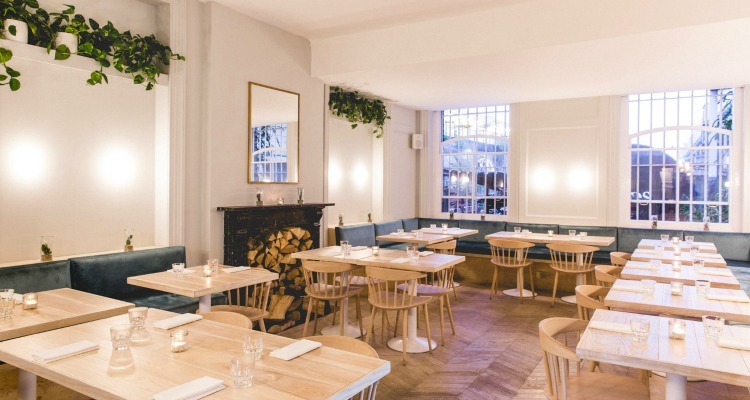 It’s not Le Cordon Bleu potential restaurateurs needs to be keeping an eye on, but rather Islington’s Smokehouse - a spot whose alumni include Neil Rankin (the founder of temper) and now Sam Bryant. 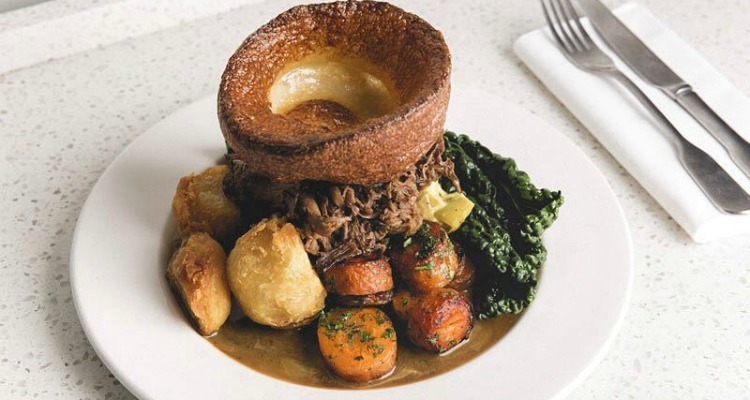 And much like Rankin’s beloved grill spots, Bryant’s Coal Rooms is looking to reinvent the way we consume meat, with a nose-to-tail ethos and coals for cooking; has it got what it takes to transform our Sunday roast? Set in the old ticketing office of Peckham Rye station, Coal Rooms is a trilogy of areas, starting with a noisy, child-friendly coffee shop, through to a dark amphitheatre of an open kitchen - diners ever so slightly suspended in a U-shape, watching the drama of the open kitchen below. The final, heavenly dining room is where we’re sat - a white-walled, fuss-free space, whose stand-out feature is a black fireplace stacked with logs. A Sunday lunch all weekends should aspire to. The Sunday lunch menu is tweaked weekly, with different cuts of meat getting their 15 minutes of fame. I try the returning favourite, bone marrow and marmite bread and butter pudding with thin slices of Wagyu salami on the side (£8). The pudding comes in a dense rectangle, with layers of smokey marrow and buttery bread both crunchy and oozing all at the same time; it’s not dissimilar to the wedges of Bovril toast we would gobble as kids - albeit a whole lot fancier. My comfort levels were already at ‘electric blanket cranked up to three’, but it’s the Sunday roast that’s here to tuck you into bed. I still dream about the 40-day-aged Hereford rump cap and ox cheek (£19), as slithers of pink beef sat atop juicy, dripping flakes of cheek - any excess gravy mopped up with the boat-sized Yorkshire pud or swede mash. While spots such as the Bussey Building and Frank’s Cafe have long cemented Peckham’s reputation as a great place for boozy days that roll into nights, it’s the Coal Rooms that’s helping to contribute to the burgeoning food scene. And it’s little wonder it’s already one of the hottest tickets south of the river; jump off at Peckham Rye station for an exciting and unforgettable menu of meat dishes in a Skandi-calm atmosphere.